Flyaway model, what would you do? We had an experienced member recently who got a bit too far down wind and tried in vain to bring it back, his control inputs just made the matter worse. In the end he had to just give the model up and try and get a bearing on its last known position/direction. What would you have done? I know in the heat of the moment he kept battling to bring it back but would it have been more prudent to land (albeit crash land) whilst it was still in sight? After a fruitless search we called in a member with a drone and camera next day and he was able to locate the model 1.2km away within five minutes (aren't they wonderful). An hour later it was back with the owner having landed inverted in a soft bush with a small ding in the leading edge, very lucky indeed. I guess, assuming the plane was set up with fail-safe, the correct decision would be to switch off the Tx. That would be 'Best Practice' - the outcome might have been exactly the same - but It's less likely blame could be attributed to someone whose actions in the circumstances were 'Best Practice'. Lesson; do not put your phone number or address on the model in case property damage should occur. Getting a model back from a fly away like this is often hampered by loss of orientation and it is helpful to have a pre thought out routine to regain control. One I have used (which is also useful for loss of sight in the sun or behind trees etc) is to give the model three quarter throttle and half up elevator. This may need to be varied depending on the model, but should put it into a holding pattern of (a few) repeated loops during which you can hopefully ascertain it's orientation (or find it!). I have witnessed a couple of flyaway and from my experience the model seems to end up further away than what people estimate. If you want the model returned, if found by a stranger, having your name on it is the only option Tom but point noted. 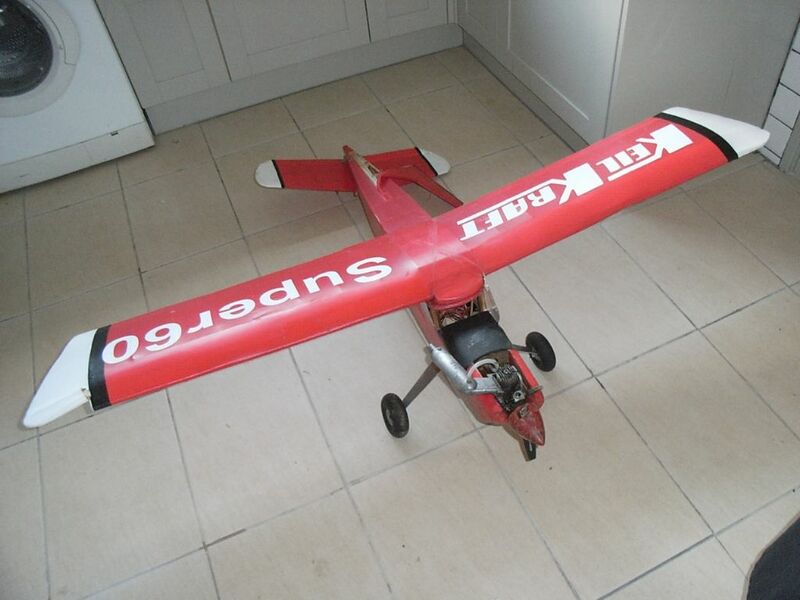 I have fitted lost model alarms to one or two of my gliders before now. It can save a long search after the model has miraculously disappeared into a clump of undergrowth just out of sight. Problem is, you usually lose the glider that doesn't have one fitted, sods law! Isn't hind sight a wonderful thing? Are you saying that we should not take responsibility for damage caused by our models ? I can quote two examples from personal experience. When I was learning and while distacted I launched a model without switching on. I was taken up in a Tiger Moth straight away but didn't find it. Phone around including local model shops and radio stations. A farmer found it and reported it to a local model shop but they got the colours wrong. Eventually he phoned the local radio and they put him in touch with me. I got it back, it had been sitting in a barn for two weeks. I calculated that it would have flown about 12 miles. I was right within a mile but my direction was out by some 10 to 15 degrees. If you lose control as described in the opening post then you should endeavour to minimise the energy in the model & thereby minimise the risk of third party damage. The engine should be stopped & the model spun if it will do so or put in a spiral dive with full up elevator. In either case the model should be in a stalled state & so flying at a low speed with minimum kinetic energy. I had this experience just a few weeks ago. I was flying a MPX Fun Glider, quite a small powered glider. If the wind is easterly, which is was this day, the flight line of our site is sheltered by trees behind us. As a result I very much misjudged the strength of the wind at altitude. Shortly after launch my error became obvious to me as the model was pulling hard away from me, downwind. The problem was that, at some distance away already, every time I turned towards me the model effectively disappeared - basically it's a small white model against a light grey sky no contrast in a head on orientation! I'd let it fall off away from the wind so it turned and could see it, but of course ever time I did that I'd lose another 50 yards downwind. This was only going one way! There is a large hospital to the north of our field - only about three quarters of a mile away - and I'm slowly but surely headed that way. Eventually I crashed the model by stalling and spinning it, to keep it within reasonably safe limits - as I thought. Obviously I carried out a search in the area I believed the model to have come down, but failed to find it. A few days later the club gets an email from the reception desk at the hospital - have any us us lost a model? And sure enough there is was. Good news. The airframe was wrecked but the innards were retrievable. The slightly less good news was that it was found in the car park of the hospital! Significantly further away than I believed it was, which bears out earlier comments about the "coming down" being much further away than you tend to think! In terms of answering the OP you must bring it down - you have no choice really. To fail to try to bring it down will be viewed very badly by CAA etc if anything untoward happens. In discussions with folks from CAA about exemption applications etc. fly-aways, leading to potential mid-air collision, is always their number one concern. Failure to take actions to bring the model down could be viewed as a breech of the ANO in that you are endangering other aircraft. There could conceivably be sets of circumstances were it would be, on balance, safer not to bring the model down, where to do so would (to your certain knowledge) endanger people on the ground, but I think you'd have to feel very strong in your argument to justify that. I can remember my first ever flight. I was staying down in Devon with my family (I must have been about 12) and we went to a flying club near the beach (now sadly closed). I really just went to have a look at the planes but was offered a go on a 4 stroke (OS surpass) Junior 60. It was quite an exposed site with a brisk breeze but it seemed to handle it okay. I was flying quite reasonable circuits (to the extent that the plane owner wandered off). Unfortunately I was accidentally drifting with the wind towards the sea. It got quite a long way away when I realised I couldn't remember whether I was flying away or towards me. By this point the owner had returned - I asked him if he wanted to take over- he promptly advised me he couldn't even see the plane In the end I did some rudder turns to check which way it was flying and then waited.... and waited... Eventually the plane started getting a bit bigger and we got it back. I think I must have been about halfway to Lundy Island!!! All in all quite a memorable day - I can remember one person landing his Precedent Funfly - he was landing it and it was about a foot off the deck on finals when the fuselage fell off! The wing fluttered down, the plane was fine, no harm done!!! New wing bolt and some more fuel and off again!!! For years, my club has held an annual powered glider competition and about 25 years ago I thought I'd enter. Spent all morning getting the old PAW running well, as on each hand launch, the model would climb to about thirty feet, after which, the engine would stop and the model would glide down about thirty or forty yards away. Must have messed about with it for a couple of hours and had a couple of dozen very short flights, the fuselage was now getting quite oily. Final fiddle and fettle with the motor and off she went again, except this time my hand slipped along the fuselage after giving it a good heave-ho launch and switched the radio off! No problem, the motor will just cut out in a few seconds and I'll start again. No chance........the engine ran like a dream, with the model climbing away in lovely circling flight and gently down wind in perfect free flight fashion. Luckily the model's track was over many miles of open countryside so the risk of causing a problem was minimal - however the model climbed away and eventually was out of sight and heading for Suffolk, never to be seen again despite several weeks of searching. I’d never advocate the above. I’d always keep trying to fly the plane all the way down to the ground. Thanks everyone for your input I think my fellow pilots can all learn a thing or two from all these experiences. Just to explain, the area the plane was flying over was pretty much open countryside with some high rolling hills so it was worth the battle. The model was visible against the sky but 'disappeared' when against the countryside as it performed unsuccessful manoeuvres to fly back. The plane was set up for fail-safe but in the heat of the moment this was forgotten! Lesson learnt there. BEB's comments regarding the CAA are very relevant and again, lesson learnt there. Nobody expects to have a flyaway but knowing what to do when it happens is important for the safety of everyone concerned, getting your model back is a bonus of course. Biggles' elder bro said, " ...every time I turned towards me the model effectively disappeared - basically it's a small white model against a light grey sky no contrast in a head on orientation! I'd let it fall off away from the wind so it turned and could see it, but of course ever time I did that I'd lose another 50 yards downwind." I too have had this problem, flying a scaleish (thus white!) glider that had a superb glide angle but no spoilers or brakes, so the landing approach had to be started from somewhere around the middle of the next county. I had a fair walk and picked up an undamaged model but was instructed what to do next time by a ex F3J competitor who had done this many times... "Fly it blind!" I was told,"If you can't see it, it's coming towards you! - Eventually you WILL see it." Hmmm... logical, yes, and easy to say, but it's difficult to stand there, grit your teeth and be content not seeing your model. and if it's really going away from you? I've lost gliders flying high above me, every time I found it again after a few endless seconds of sheer panic. Eventually it will turn to a point where it catches the sun. Waiting for a glint off the wings is not so useful when the model is low and downwind! I had a flyaway a few years ago when we were still using FM equipment and before the introduction of failsafes. What happened was this. I'd had several successful sessions with the model, a Keil Kraft Super 60 fitted with a "period" Merco 35, over the previous week or so and having carried out a few minor alterations, I took the model to the flying field. I had planned to meet a club colleague, who shall remain nameless, who is a superb modeller but a very nervous pilot. He was learning to fly on an electric powered Junior 60. I had helped him to trim out the model over the previous weekend and had planned to take the Super 60, two transmitters and a buddy lead to give him a go and to raise his confidence. Having got to the flying field I found that he had already flown and damaged his Junior 60. I said I'd give him a go on the buddy box. Another pilot, Richard Golding, a retired electronics engineer, expressed an interest in having a go too so we all crowded round the Best Mate stand while I started the engine. At this stage we found out that I'd left the buddy box at home after all so no chance of dual instruction! However, having got the engine to start I placed the model on the runway, gave the controls a final check, opened the throttle and off it went climbing steadily. Someone said that my transmitter aerial was loose so I tightened it. The model turned to the left. I put in right rudder. Nothing happened but the model continued to climb in fairly tight left-hand circles betraying its free flight heritage! I shouted that I had no control and the good old Super Sixty continued to climb. Alan, Richard and Derek did all that they could to help me. This involved fetching a Mode 1 transmitter from the club's training locker and removing the battery and crystal from my set to see whether any control could be re-established. Not that it was any use to me because I'm Mode 2 but Derek was a Mode 1 pilot. By now I'd abandoned the transmitter and left them to it. I was concentrating on watching the model; the transmitter wasn't controlling anything anyway! It continued to climb then the engine appeared to cut or go to tick over, I thought I could still just about hear it but couldn't be certain. When I last saw it, it was in a flat spiral dive as if the rudder had jammed. It disappeared behind a large tree at the edge of a wood about a thousand yards away from the launch point. Had they managed to get some kind of a signal from the Mode 1 transmitter just before it disappeared? Who knows? We discovered a broken wire in my transmitter at the base of the aerial when we removed the back later. Two search parties looked for the model in the wood and surrounding fields but there was no sign of it. There were no drones in those days but there was an RAF helicopter training aerodrome about fifteen miles away. I contacted them the following day which was a Friday. They said they'd have a look for it first thing Monday morning. They found it pretty quickly. It was beside a hedge with it's wing off. It looked to me as if someone had found it, took the wing off and placed it near the hedge. I could have sworn we'd looked in that field the previous Thursday. I gave the pilot a bottle of Champagne! This is what it looked like at the time. Of course I could not have deliberately crashed it even if I'd wanted to! Wouldn't happen nowadays of course! All Forum Topics > In The Air > Flyaway model, what would you do?